Welcome to the Pencil Bison Ranch. 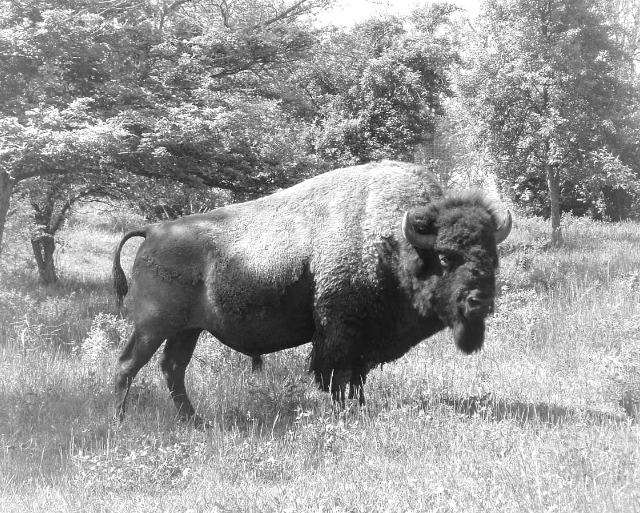 Stop by to see our herd, buy bison meat, or just enjoy being in the presence of America’s national mammal! Pencil Bison Ranch began taking shape in 1998 as Big Shaggy Buffalo Ranch. Steve and Joey Group had a vision of having a small buffalo ranch which coincided with their strong interest in Native American culture. The vision rapidly expanded and developed into a business of providing high quality bison meat to healthy conscious consumers. Now almost twenty years later, Jeb and Megan Pencil are excited to continue bison production and growth at the ranch. We look forward to providing bison meat to our community and are excited to watch the growth of our establishment. presence of America’s national mammal! The herd that roams Pencil Bison Ranch are comprised mainly of bison whose lineage goes back to, Custer State Park in South Dakota. Jeb and Megan Pencil’s vision of having a small bison ranch which coincided with their strong interest in Native American culture and the local community. Focusing on providing high quality bison meat to healthy conscious consumers. Stop on in to see the Ranch!